In your opinion do you think the UFC will make Holloway VS Aldo 3? Discussion in 'UFC Discussion' started by JM Barrie, Apr 15, 2019. You don't see too many 3s in the UFC. Actually the only one I can remember is Edgar vs Maynard. The reason I ask is because Max will be going back to 145lb. Aldo VS Volkanovski are fighting in 26 days. What happens if Aldo wins? Aldo has lost to Max twice. KO/TKO both times. If he wins does the UFC make him face Magomedsharipov? No question Volkanovski gets title shot with the win though. i hope they dont for aldos health. Win or lose Aldo goes up to 155 for his last fight. Only way to get another ts is signing a new contract. Doubtful despite Jose deserving it if he gets by Volk. Still I'm on the Volk train and with this supposedly being Aldo's what last or second last contracted fight I hope Volk finishes him and the FW Goat goes out on his shield. Aldo doesn't want the belt. Also JDS/Cain, Fedor/Nog, Fisher/Stout, Ortiz/Liddell, Horn/Sonnen, Arlovski/Sylvia, GSP/Hughes, Couture/Liddell, Penn/Edgar, Shogun/Lil Nog, Werdum/Overeem off the top of my head, I'm sure there's more though. If Aldo beats Volkswaggen maybe he fights Ortega? Or last fight at LW? nope aldo said this year he had 3 more fights left in him and he not asking for any main event spots cause of it. They'll only make that fight if Aldo owes Dana money. 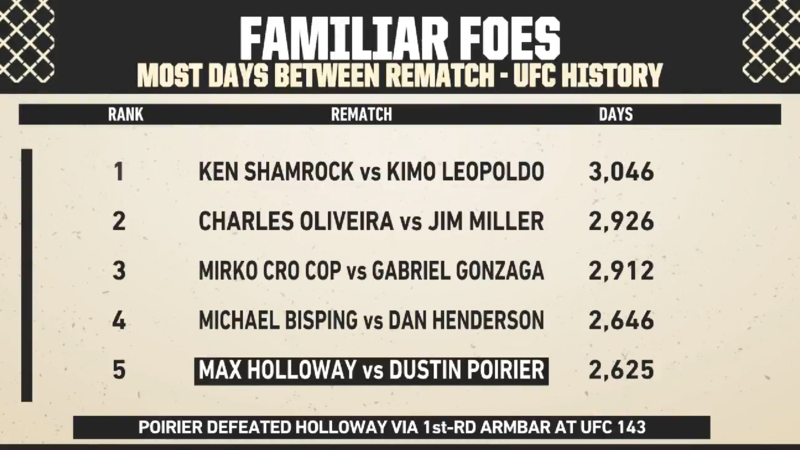 if aldo makes the climb and max is still on top then why wouldn't they. RizinSon88 I tread the left-hand path. Yeah it isn't too commonplace, but it happens. Can anyone else think of any more in the UFC? Cain vs JDS? Chuck vs Randy? Arlovski vs Tim? GSP vs Hughes? Vitor vs Hendo? Are you new to MMA, TS? Also, zero chance this fight happens. The first rematch wouldn't have happened either if Edgar didn't pull out of a scheduled fight. At first I thought you were going to say it's rare for a 0-2 fighter to get a third fight but with Edgar/Maynard, Edgar was 0-1-1 and the champ before the third fight. Max wrecked Aldo twice. Why a 3rd? No I am not new. I was watching MMA when PRIDE was still an origination. Those fights were long time ago and its not so easy to remember what number it was. Aldo is more talented but doesn’t have the cardio to compete with Max.